Invigorating life through the Power of Breath. 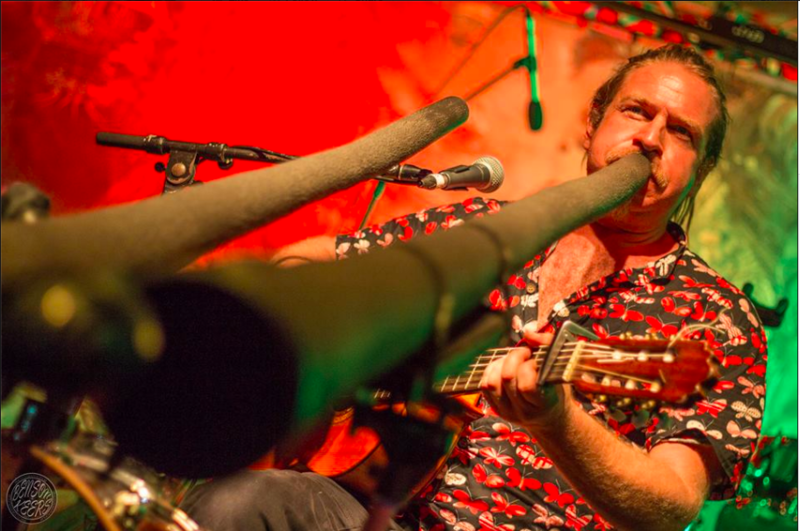 Si is one of the world's leading contemporary players of Australia's iconic instrument, the didgeridoo. Behind the powerful momentum of his playing is a hidden and rich life. Si has played concerts and travelled through out the world and also back home in Australia, deep into the outback regions. Si's principal exploration has been how to use the breath and the vibration of the didgeridoo, to invigorate his life and the lives of others. 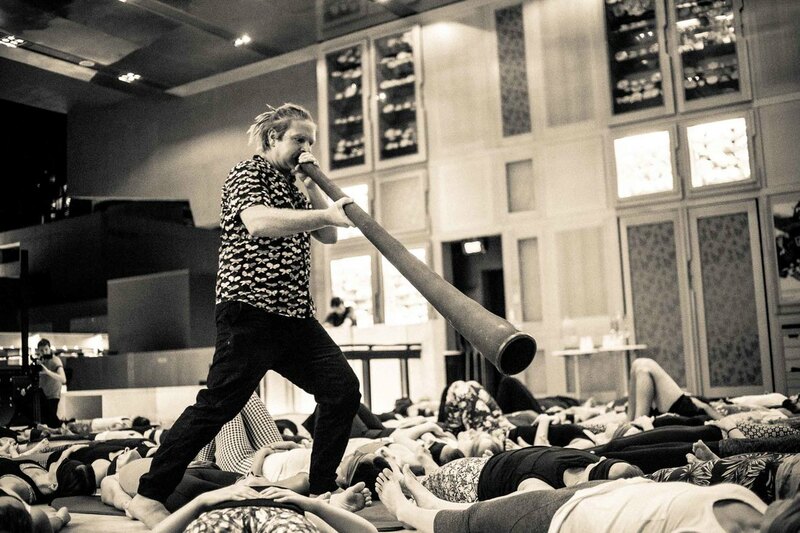 He has developed a unique breathing method that is now called Didgeridoo Pranayama. This page is to give length, width and breadth to what is 'on the inside' of a player who has committed his body, mind and soul to the singleminded pursuit of excellence and wisdom from the path of playing didgeridoo. Si's solo show tells the story of his unique path as a white fella didgeridoo player in Australia. Si illustrates his story with a variety of instruments - didgeridoo, Flamenco Guitar, percussion and harmonic flute. Si has played music with some of the world's leading yoga teachers including Elena Brower, Simon Borg-Olivier, Cameron Shayne, Shiva Rei, Tahl Rinsky, Gwynn Williams and Duncan Peak. 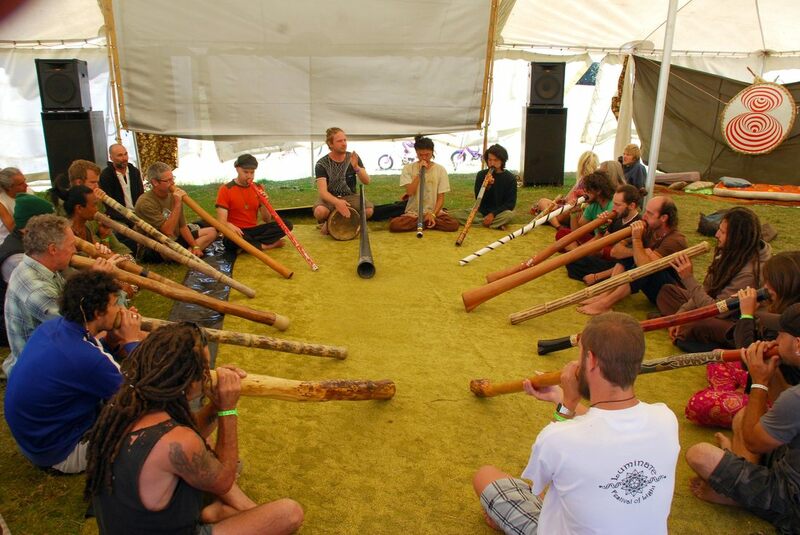 Si has a unique method for playing didgeridoo and holds workshops all over the world from 2 hours to 4 days in length. His method is simple but cultivates rhythmic breathing, core strength and power in the player.